Breeding betta fish can seem like a daunting task, but with a few betta fish care instructions it’s easier than you think. Breeding bettas is also one of the most rewarding aspects of betta ownership. It’s quite remarkable to see an entire betta fish fry all grow up together. To see them go from a betta bubblenest, to eyes and tails hanging off the bubblenest, to betta fry that can swim on their own. 1. 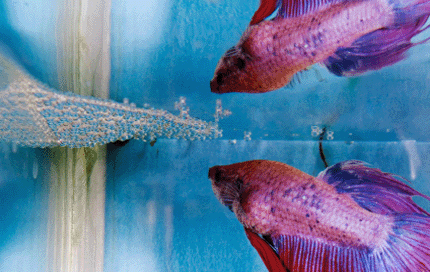 You need to find a female Siamese fighting fish, which isn’t always easy to do. 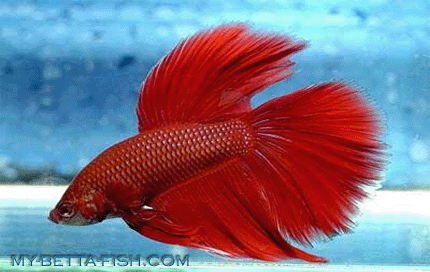 Most stores only carry varieties of the more vibrant betta fish male. Don’t worry, you can get a healthy female betta at My-Betta-Fish.com. 2. 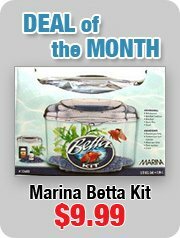 Once you have the betta fish male and the female betta - you're ready to begin breeding betta fish, you need to start feeding them properly. While you never want to overfeed domestic betta fish, in order to prepare them to spawn betta fish eggs they need to be eating well. 3. Start feeding them freeze-dried blood worms and some shrimp brine at every second feeding. Remember, stick to Nutrafin Max Betta food when not preparing for breeding – live food can contribute to betta fish diseases! 4. After a couple weeks, you’ll see them both start to plump up a little bit. The male betta fish will start to build a bubble nest. 5. Now it’s time to get them used to each other. 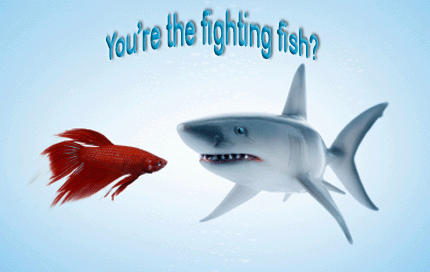 If you just dump the female betta in with the betta fish male, he will fight with her. 6. The best way to acclimate them to each other is in a divided tank, such as the Marina Betta Barracks. After they see each other for a few days, you can start to introduce the female into the male’s tank for an hour at a time. 7. Breeding aquarium fish isn’t always easy and takes some vigilance. Your female betta may get beat up a little. Watch to make sure the male betta isn’t being too rough with her. If you feel that she’s not enjoying his advances, you can take her out and give her a few days to recover before trying again. 8. Once they are both ready to breed betta fish, you’ll notice the male betta start to “hug” the female Siamese fighting fish. The male betta wraps his body around the female betta and literally squeezes the betta fish eggs out of her. 9. As the female betta spawns, the male betta emits his sperm to fertilize the betta fish eggs. 10. The male betta will then begin to scoop up all of the fertilized breeding betta fish eggs and push them into his betta bubble nest. 11. You can now remove the female betta fish from the tank, that’s pretty much it for her. 12. Over the next few days, the male betta will be working away at making sure no betta fish eggs fall out of the nest and pushing them back in if they do. 13. After about 2 days, the betta fry will begin to form. They need to stay in the bubblenest for another 2 days as they are not ready to start breathing on their own. 14. At this point, the male betta should be removed from the tank as he can turn a little nasty and decide to eat all of his young. 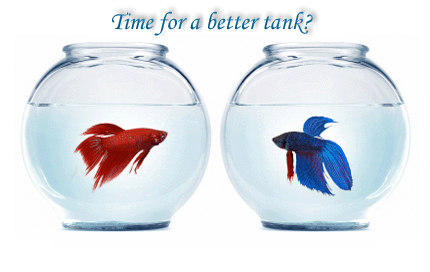 While you’re conditioning your male and female betta for spawning you should start to get your betta fish tank ready. The tank should be washed with scalding hot water to kill any bacteria. 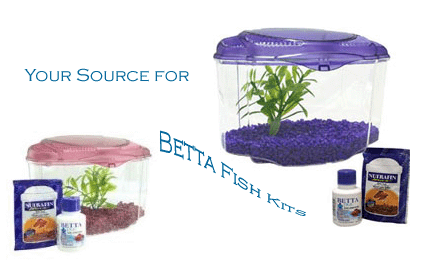 Do not use soap, as it will leave residue behind that will harm the betta fish eggs. The water should receive a dose of Betta water conditioner to decrease the chances of any bacteria rearing its ugly head. The tank water should also be kept a little warmer than normal, anywhere between 80 and 85 degrees is fine. Here’s the difficult part of feeding baby betta fish. In nature, breeding betta fish occurs in pond situations where there are tons of microscopic protozoa and other organisms. These are hard to duplicate in a betta tank environment, but this is what your baby bettas need to eat. Here’s a trick, take a 9 inch pie plate and fill it with water. Put a few table spoons of organic plant matter in the water. Rip a piece off of a plant or grass clippings will do. Leave it in direct sunlight for a few days and you’ll see it start to get gruesomely full of microscopic organisms (it will start to look like a pond). Take a few tablespoons of the pond water you created and add it directly to your baby betta tank. The baby bettas will devour the protozoa you made for them. If you don’t feel comfortable trying to do this, you can purchase Betta Microworms online. Place 2 drops of them into the tank every 4 to 6 hours. After a couple weeks, start feeding your baby bettas crushed flakes of Nutrafin betta Max food (it should be crushed into powder). While many breeders may suggest feeding live foods for the first couple months of a betta’s life – live foods often carry parasites and bacteria that are linked to betta fish diseases. Read more about caring for baby betta fish. After 6 to 8 weeks, your baby betta fish will be about an inch long. At this stage, you can start to separate them into individual betta fish bowls. If you turn out to be good at breeding betta fish, you may end up with hundreds of tiny bettas. Make sure you have a place for them to go before you start the breeding process. Some local pet stores will buy your betta fish. They also make a nice present to go along with a betta fish kit. If you live in a tropical climate, you can even release them into outdoor ponds. Hopefully, we laid out the basics of how to start breeding aquarium fish. If you do intend to give this a try, please read all of our information pages about different aspects of the breeding process. The more you know, the more likely you are to be successful on your first attempt. If there’s anything you’re still wondering about, you can try our betta fish care FAQ page where you’ll find the answers to most questions that you’ll have about your betta. Baby betta fish need to eat microscopic organisms that are found in pond water. To produce your own betta pond water, add organic material to a shallow dish of water. Leave it in direct sunlight for a couple days. You can now harvest water from your “pond” and add it to your betta tank. 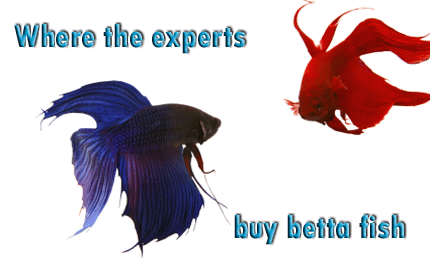 Read more about how to breed betta fish. Thanks!! We now have Betta fish babies!